There weren’t accommodations for the tens of thousands of people who descended that week upon Jerusalem for the Passover Festival, so each day as evening approached the vast majority would leave the city to campsites they had set up outside the city gates. Such was the case for Jesus and his disciples who had set up campsite at the Mount of Olives. Hidden among the great throng of people, the location of their camp remained unknown to all except the disciples.Hence, the need for a betrayer – one who could tell the high priests where to find Jesus. Luke 22:1-6Now the festival of Unleavened Bread, which is called the Passover, was near. The chief priests and the scribes were looking for a way to put Jesus to death, for they were afraid of the people. Then Satan entered into Judas called Iscariot, who was one of the twelve; he went away and conferred with the chief priests and officers of the temple police about how he might betray him to them. They were greatly pleased and agreed to give him money. So he consented and began to look for an opportunity to betray him to them when no crowd was present.There is the capacity for good and evil in all of us, and we wrestle in the course of our lives to be conscious of our capacity for evil, so we can choose to resist the pull of evil and pursue instead that which is good. 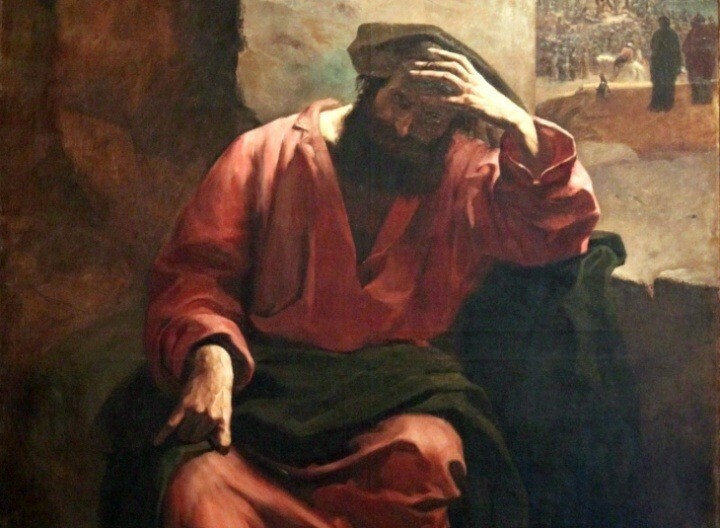 The Gospels give mixed messages about Judas’ motivations, leaving us to speculate. The writers suggest greed had a part to play, but it seems unlikely that the love of money would in itself be enough to take Judas down. Perhaps jealousy had a part to play. Maybe disappointment, that Judas could see Jesus wasn’t going to be the kind of messiah for which he had hoped. Possibly he had a strong need to be in control and in an attempt to force Jesus’ hand he thought arranging the confrontation with the temple police would compel Jesus to take up sword and fight. We really don’t know. Matthew tells us Judas had severe regrets afterwards. There is a mystery to the power of evil and its capacity to overtake a person. What seems clear is that although there may be a particular moment, when a person yields him or herself to the power of evil, there is always a long history that precedes it. Choices made along the way, big and small to harden one’s heart – to harbor resentments, nurture greed and envy — to abandon our moral compass — to hide out in the darkness rather than to step out into the light. This is addressed in the Lord’s Prayer, which we are invited to pray daily. “And lead us not into temptation, but deliver us from evil.” We pray not to be led into temptation because there is a frailty to us. We cannot say with total confidence what we would do if certain seductive choices were presented to us. Each of us has a capacity for self-deceit and are practiced in justifying our actions. Humility is required. Judas lacked it. So did Peter as we will hear shortly.